Black PU six inch heels with one and three quarter inch platforms. 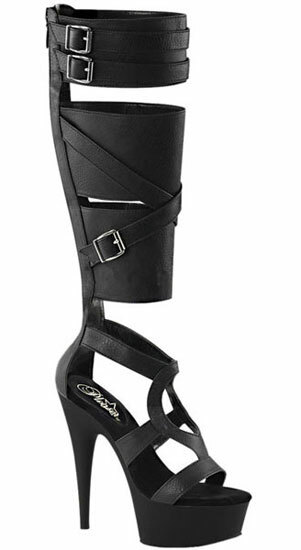 Kneed high Gladiator style boot sandals. Buckle detail and full length back zipper. Manufactured in Asia.